The young, surging Pirates are the talk of baseball. With their young power pitchers and gritty, hustling play, the Pirates are now a threat in the National League. And since the team's home field, PNC Park, is rated as the best in the nation, a trip to see the Pirates rates as a memorable experience. 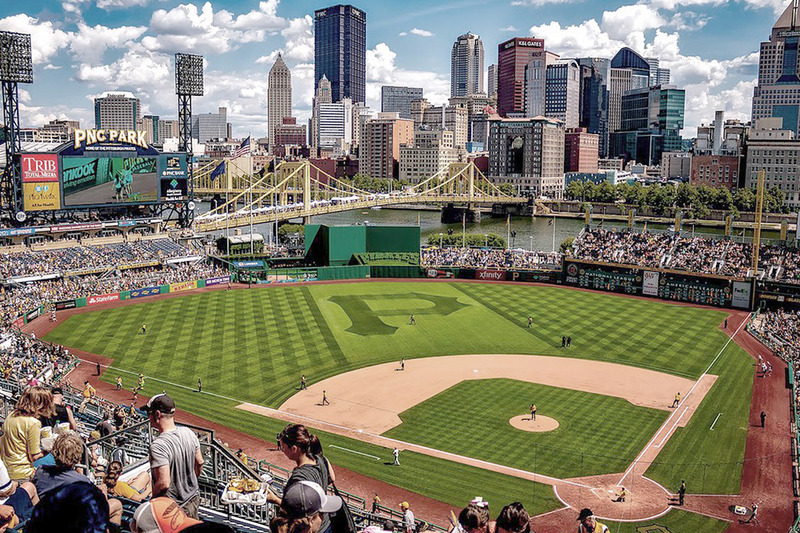 Only a 10 minute walk from PNC Park, The Priory is proud to offer its Pirateball package, which includes a one night stay for two in one of the Priory's standard rooms, two Lower Outfield Box (Sections 101-108 & 125-132) to the Pirate game of your choice, two Pirates hats, an in-room ballpark fun basket, including popcorn, peanuts, cracker jack and other treats. *Pirates tickets are subject to availability; the portion of the Pirateball package attributable to the Pirates tickets is not refundable once the package is purchased.